The government has doubled the number of tech visas while committing £61 million to tech initiatives. 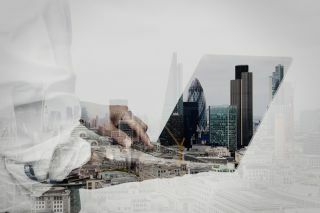 Ahead of the upcoming Budget, the government has launched several initiatives aimed at gaining increased support for the UK's tech industry during a time of uncertainty brought on by Brexit. Prime Minister Theresa May and Chancellor Philip Hammond announced that the number of work visas given to qualified and talented individuals (many of whom will likely work in the tech sector) would be doubled to 2,000. Organisations have become increasingly concerned over how they will hire and employ workers from outside the UK after Brexit and this announcement should help quell those fears. The UK government is also planning to spend a total of £61 million to help the country's tech industry in three key areas. First it will use £21 million to expand the London-based initiative Tech City into a new nationwide network called Tech Nation that will open new hubs in Belfast, Cardiff, Edinburgh and Birmingham. Next the government plans to spend £20 million to incorporate AI and other emerging technologies into public services. The last £20 million will be set aside for youth training to help teenagers learn to identify and fight off cyber threats. The announcements were revealed ahead of the Budget to help reassure the country's tech sector that the UK is dedicated to supporting tech businesses despite its ongoing efforts to leave the EU.